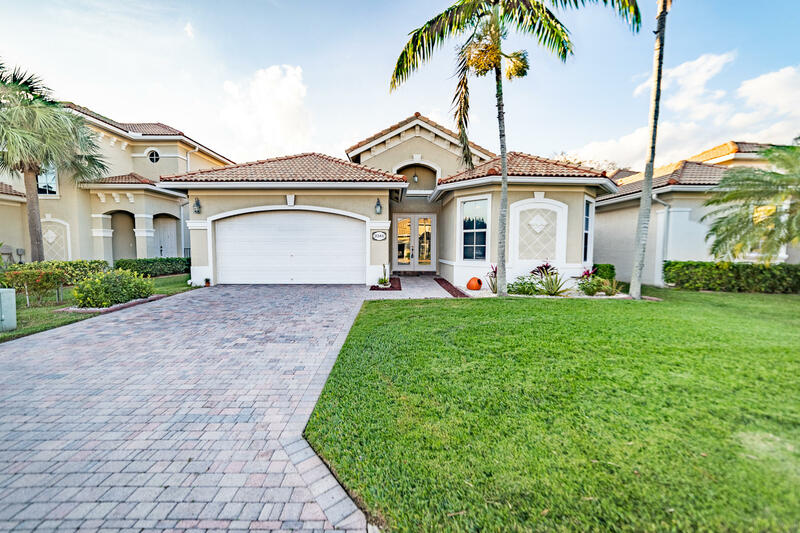 All ANDROS ISLE PAR E-2 2 homes currently listed for sale in West Palm Beach as of 04/21/2019 are shown below. You can change the search criteria at any time by pressing the 'Change Search' button below. "This magnificent home is located in Andros Isle on a cul-de-sac road. Outstanding preserve view and no rear neighbors. This home has been elegantly decorated and meticulously maintained by the original Owners. Beautiful etched glass doors lead into the foyer and soaring 10' ceilings. Highly sought after, split Bedroom, Jasmine model. Features a RARE 4 Bedrooms and 3 Full Bathrooms. Magnificent design with multiple tray ceilings and adorned by handsome crown molding and 5 3/4 in. baseboard throughout! Centrally located gourmet kitchen accented with newer SS appliances, granite countertop, white shaker cabinets, breakfast bar, undermount double bowl sink, and large pantry. HOA includes cable, internet, home security and MORE. 100% financing and other incentives available. 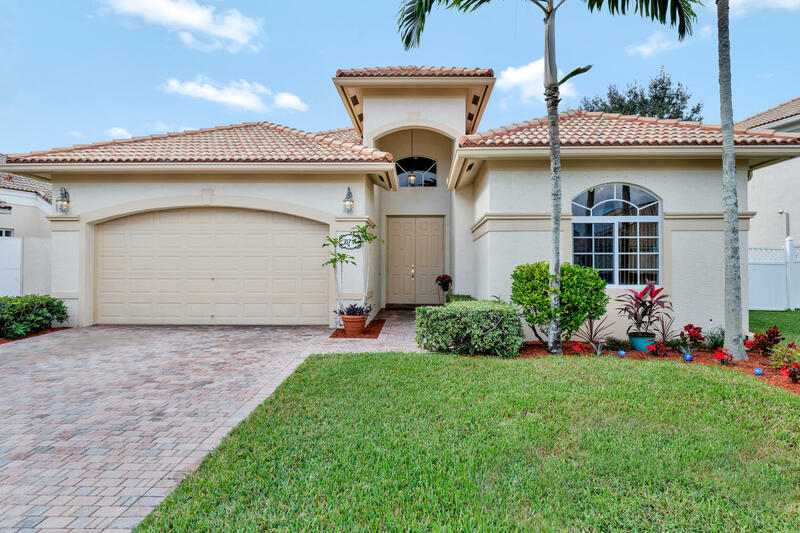 Call for details.."
"BEAUTIFUL, IMMACULATE SINGLE HOME, , 3/2//2, NEW AC, NEW WATER HEATER, LARGE LIVING ROOM, KITCHEN WITH NEW APPLIANCES, EAT IN THE KITCHEN WITH SLIDING DOOR , ENJOY THE PATIO AND THE PRIVATE GARDEN. MASTER SUITE BEDROOM WITH 2 CLOSETS , LARGE BATHROOM, 2 SINKS, ROMAN TUB AND SEPARATE SHOWER. 2 GUEST BEDROOMS AND 1 BATHROOM. NEW AC. LOW HOA INCLUDED : 24/H GUARD, 2 SECURITY BARS, CABLE, INTERNET, ALARM, MOWING GRASS AND TRIMMING, WALK TO THE 10,000 SQ FT CLUB HOUSE, LOBBY, BALLROOM, FITNESS CENTER, CARDS ROOM, 2 BILLIARDS, TV, LIBRARY, SAUNA, FREE YOGA, PILATES, AQUA GYM, TENNIS, JOGGING, BIKING, VOLLEY AND BASKET BALL COURT, PRIVATE ROAD TO PUBLIX AND SHOPPING, CLOSE TO EVERYTHING, 12 MINUTES TO AIRPORT AND DOWNTOWN, 20 MINUTES TO THE BEACHES. WELCOME TO EVERYONE, SELLER MOTIVATED."